Oddom Van Syvorn is a Cambodian peace activist, meditation teacher and peace educator of great commitment over many years. Syvorn has worked on the Cambodian Dhammayietra (peace walk) since 1994, first under the direction of Bhikkhu Samdech Maha Gosananda. After he passed away Oddom Van Syvorn has been the prime mover, administrator, fundraiser, and organizer. In addition, she teaches meditation to women and children in her home province, Banteay Meanchey, and does peace education and nonviolence training. 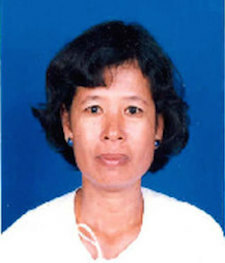 While she has worked for the most part in relative obscurity, not seeking notice for herself, Sivorn was one of the 1000 women nominated for the Nobel Peace Prize in 2006.